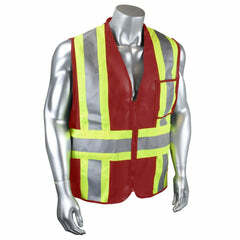 ANSI 207-2006 standard for “Public Safety Vests” (PSV). 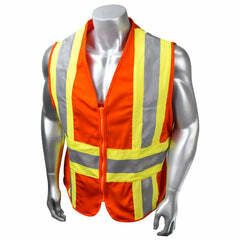 Retroreflective area requirements are the same as those for ANSI 107-2010. ANSI 207-2006 suggests several design options, such as breakaways, colored identifiers, loops, pockets, badge holders, ID Panels and our patented Zip-N-Rip™. 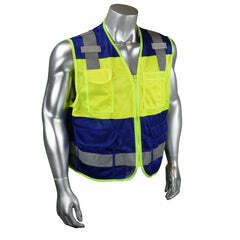 The use of ANSI 207 Public Safety compliant garments is included as an option for emergency, incident responders and law enforcement officers to meet the requirements of the ANSI regulation in lieu of ANSI 107.